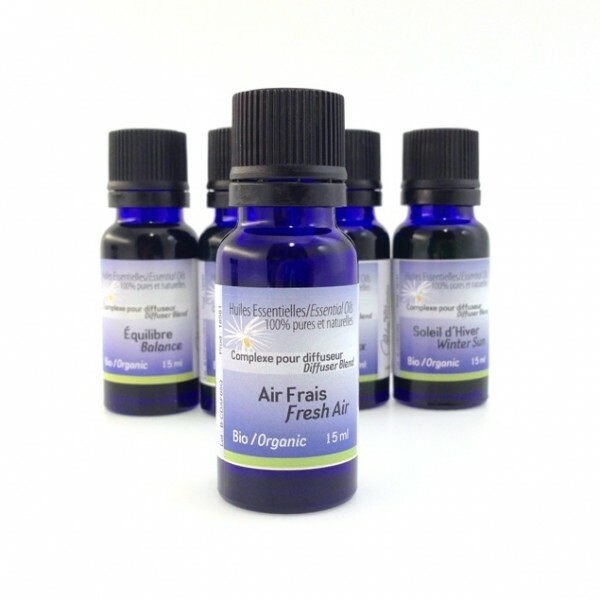 As its name indicates, this blend is aimed at purifying the air you breathe. It is used to clean up humid environments (basements, bathrooms, wardrobes, etc.). Ingredients: Balsam fir, geranium bourbon, peppermint, and eastern white cedar.